The thrill and excitement of great tourism generally requires visitors to take part in the country's local fare in person. 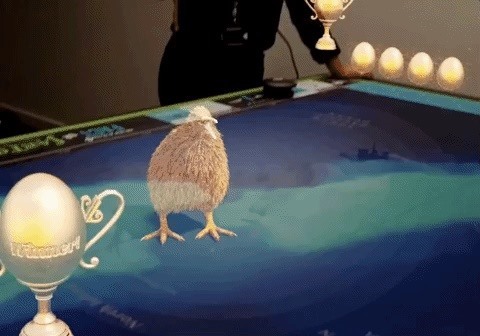 But Air New Zealand's new augmented reality experience for the Magic Leap One gives visitors an immersive taste of what the country has to offer without ever setting foot in the country. Revealed on Wednesday at the L.E.A.P. 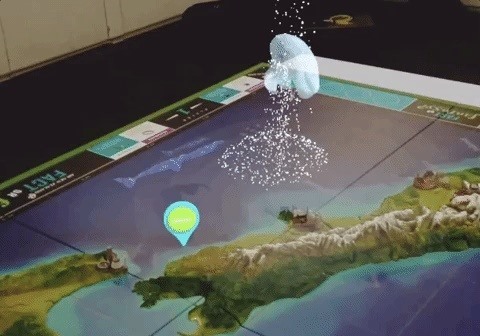 conference, the airline crafted a massive tabletop three-dimensional topographical map of New Zealand upon which the company's new Air New Zealand Fact or Fantasy Game is mapped and playable via the Magic Leap One. "By getting in early and being both a developer and creator we have been able to test and learn, creating an incredible platform from which to explore the potential of this technology as part of our Future Aircraft Cabin Experience program including concepts such as being able to reframe customers' perceptions of the physical cabin environment," said Jodi Williams, Air New Zealand's general manager of global brand and content marketing. "This first concept stemmed from the idea of getting together to play a board game when travelling with family and friends," Williams said. "From this creative inspiration, we developed a multiplayer game where up to four players are immersed in a mixed reality world that brings New Zealand to life to both inspire and educate travelers." 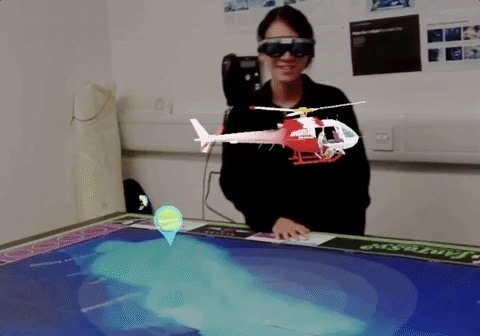 Developed in concert with the Framestore studio, another Magic Leap partner, the experience treats users to everything from helicopter-based bungee jumping, breaching whales, and even a Hobbit. In addition to the visuals, the experience also offers a quiz component to pull users into the world of New Zealand culture. "We are storytellers at Framestore, first and foremost; innovation courses in our veins," said Sir William Sargent, Framestore's CEO. "The promise of mixed reality excites us enormously, and we are delighted that this project with Air New Zealand and Magic Leap provides us with the chance to show the world the extraordinary potential of this new medium, as we experiment with new ways to share narratives." The app, which took roughly 18 months to develop, is being called a concept app at this point, so it's not intended for mainstream audiences. Nevertheless, this is a fantastic peek at the future of how countries will begin promoting tourism using the fully immersive AR that's the next best thing to being there.